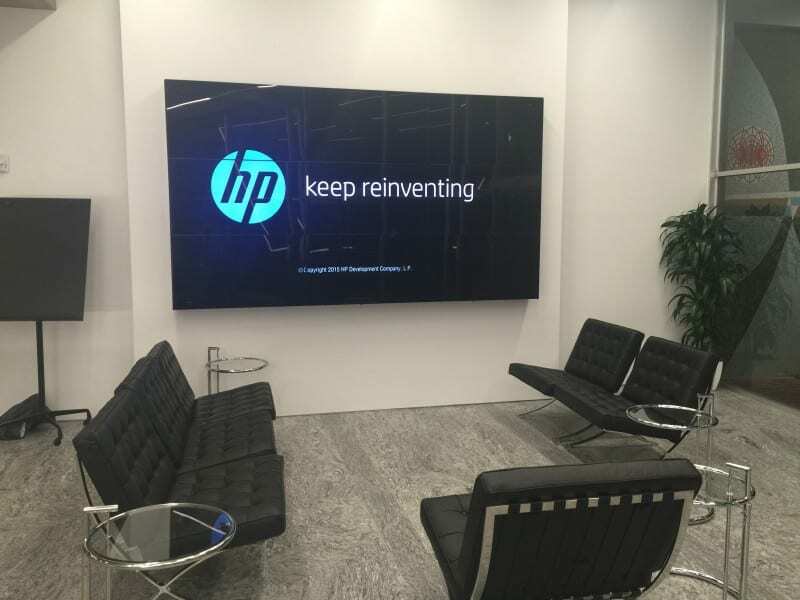 Hewlett-Packard decided to add a high end visitor center to their main Palo Alto headquarters. 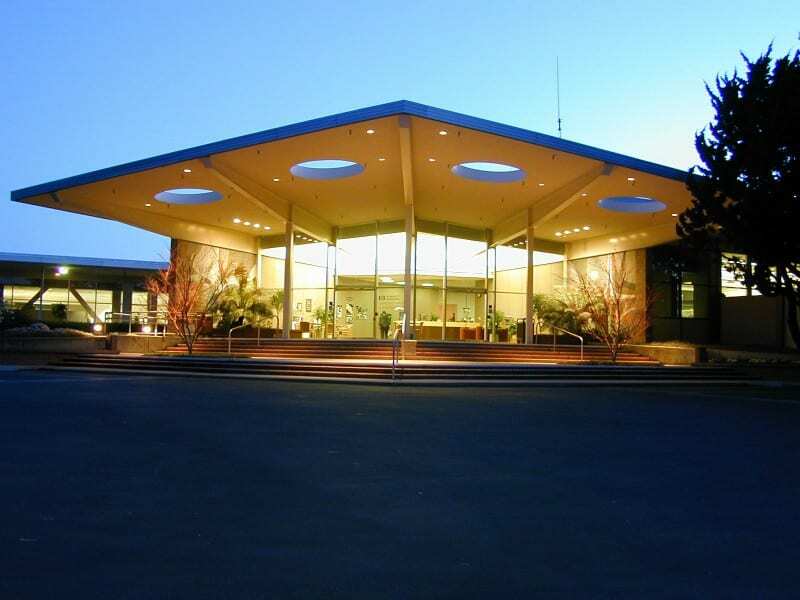 Mad were selected to implement the technology at this, a true Mecca for technology people. 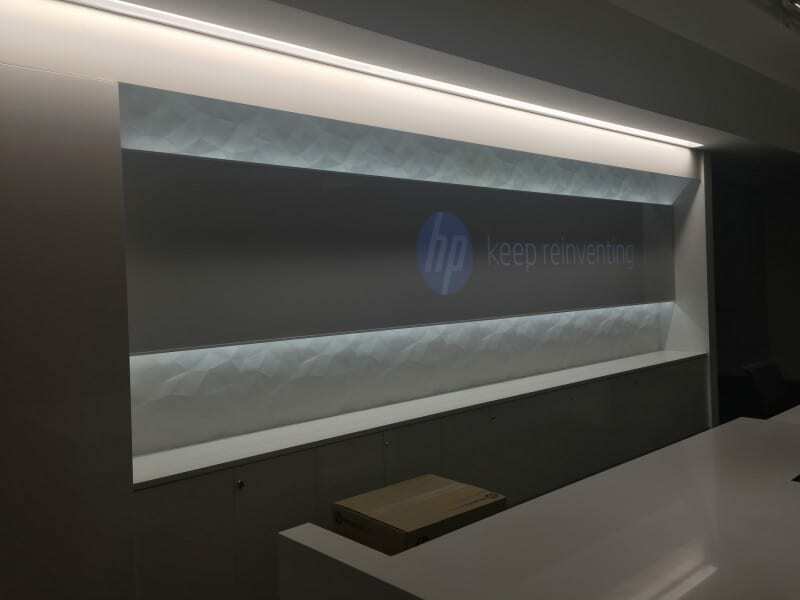 The visitor center is right outside Hewlett and Packard’s offices, and Mad are very proud to have been involved with this project. 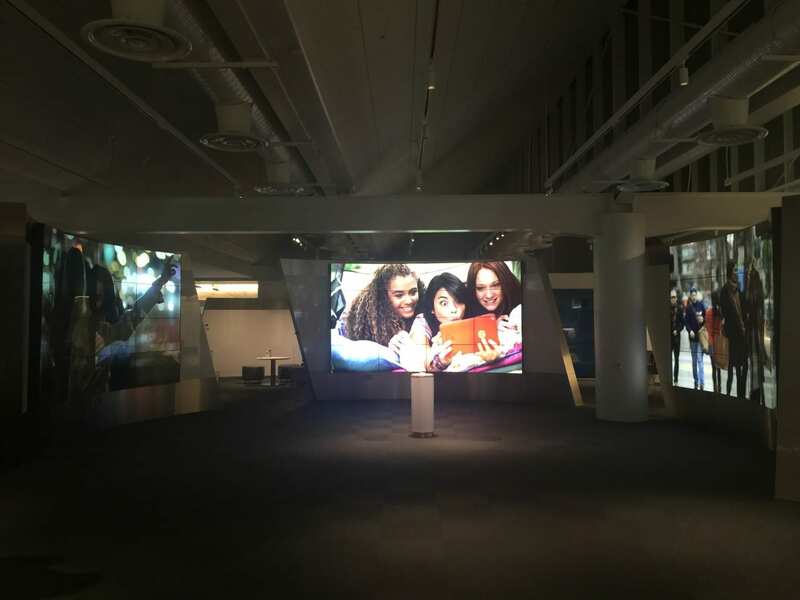 As visitors enter the center, a welcoming reception area incorporates a 3×3 video wall, based on HP technology. 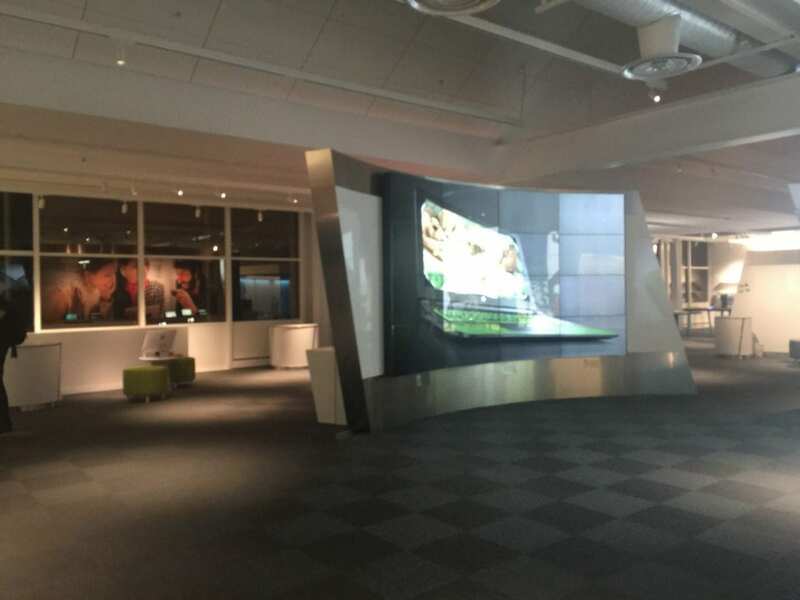 Entering the main Customer Welcome Center, three 4×4 video walls, arranged around a common center area, provide for an incredible theatrical setting. 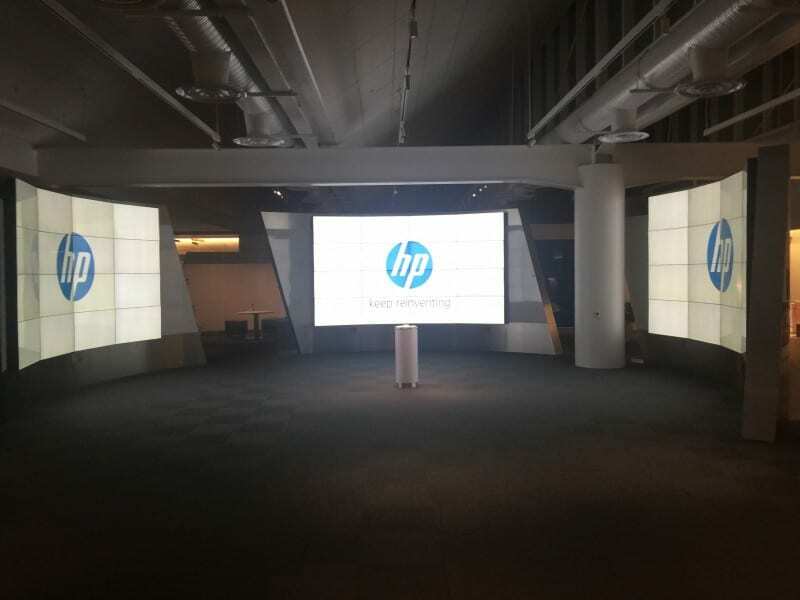 With a synchronous 12k feed, and providing an 8.2 sound system, this is quite a presentation space. 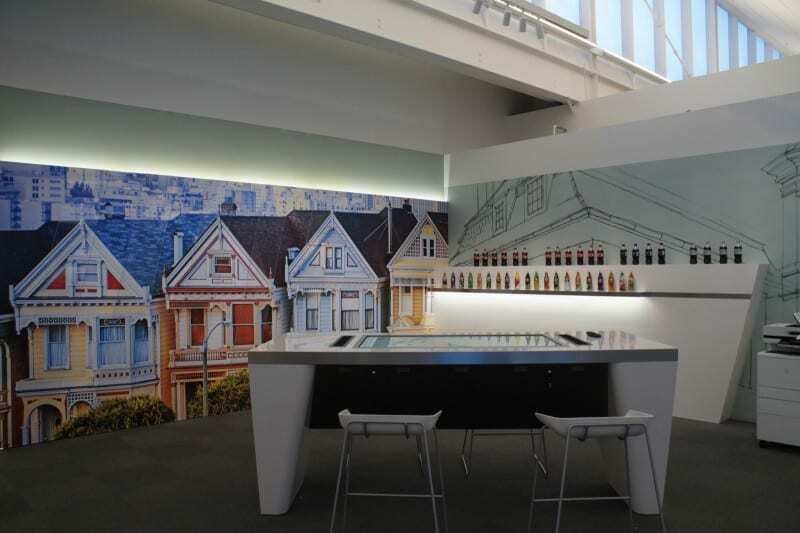 Several other areas provide for other exhibits, and the CWC also has two multi-touch tables that are used to allow presenters and clients to drill deeper into the various products that HP provides.